​Are You Eligible for a Tax Credit? On February 17, 2009, President Obama signed into law the American Recovery and Reinvestment Tax Act of 2009. This bill extends and modifies the tax credits for windows, doors, and skylights established in the Energy Policy Act of 2005. The following guidance is not intended as legal advice, and you should consult a tax professional with specific questions. Qualifying products purchased between January 1, 2009 and December 31, 2010 are eligible for a tax credit equal to 30 percent of the product cost. Installation is not included; be sure to obtain an itemized invoice from your retailer or installer. The maximum amount of homeowner credit for all improvements combined (including roofing, insulation, HVAC, and water heaters) is $1,500 during 2009 and 2010. 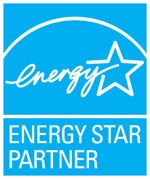 Documentation: For windows and skylights, homeowners may use either ENERGY STAR labels or manufacturer certification statements to document eligibility for the tax credit. Doors are required to have a manufacturer certification statement. Criteria: Windows, doors, and skylights purchased on or after June 1, 2009 must have U-factor and Solar Heat Gain Coefficient (SHGC) ratings of 0.30 or less. These ratings must be certified by the National Fenestration Rating Council (NFRC). Look for the NFRC label. NFRC is the only federally recognized organization for determining the energy performance of windows, doors and skylights. Please see the NFRC website for information concerning product performance. Documentation: Homeowners must obtain a manufacturer certification statement to document window, door, or skylight eligibility for the tax credit. If the retailer or installer cannot provide this document, it may be available on the manufacturer’s Web site.